We think all Fifty Shades of Grey fans would agree that E L James deserves to be honored as one of the "Women of the Year". Everyone at the event was invited due to their achievements as women. Honorees included Olympic athletes, activists and other women who have achieved success. E L James tweeted about the luncheon saying, "what an honour & pleasure to be invited to the #WomenOfTheYear lunch @Womenofyear. So many inspirational, brave, strong women in one room." She was also in the presence of another great author, P D James. We were also included in the article. It was very kind of her to include us. Fan site, and Sulia contributor, Fifty Shades Film is dedicated to E L James and believes she has done all the right things to bring fans together to share in their love of "Fifty Shades." One of the site creators summed up the purpose of the Fifty Shades Film site, "It’s our goal to create a positive, interactive community for all the fans. 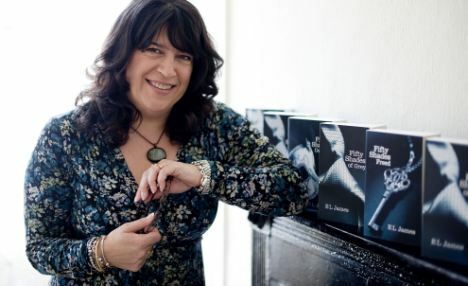 E.L. James has been so wonderful about interacting with her fans on Twitter and we wanted our fan site to reflect that same passion and interaction. We want to create more than just a fan following, we want to help build a community where other fans that are just as excited as we are, can have a place to come together and create life long friendships ignited by this common bond." We'd like to send a huge "THANK YOU" to @ShadesExaminer for quoting us on this! Make sure you're following her on twitter for all of her coverage!